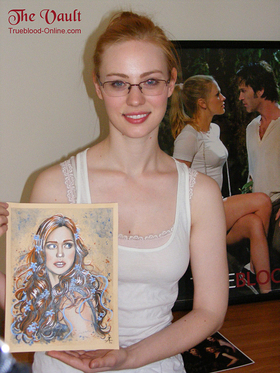 True Blood star Deborah Ann Woll is auctioning off a unique portrait for charity. The actress has teamed up with the leading True Blood website The Vault to auction off an original portrait by Spanish artist AnimaEterna that she will sign for the auction winner. 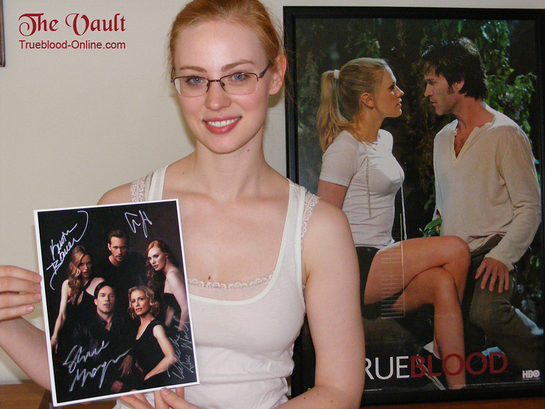 The auction also includes a True Blood photo signed by Deborah Ann Woll, Stephen Moyer, Alexander Skarsgård and Kristin Bauer. This auction will benefit the Choroideremia Research Foundation. Deborah’s boyfriend E.J. Scott is losing his sight due to Choroideremia and the only thing standing in the way of finding a cure is money. Find out more here, and access the auction via eBay. The auction ends on February 12.